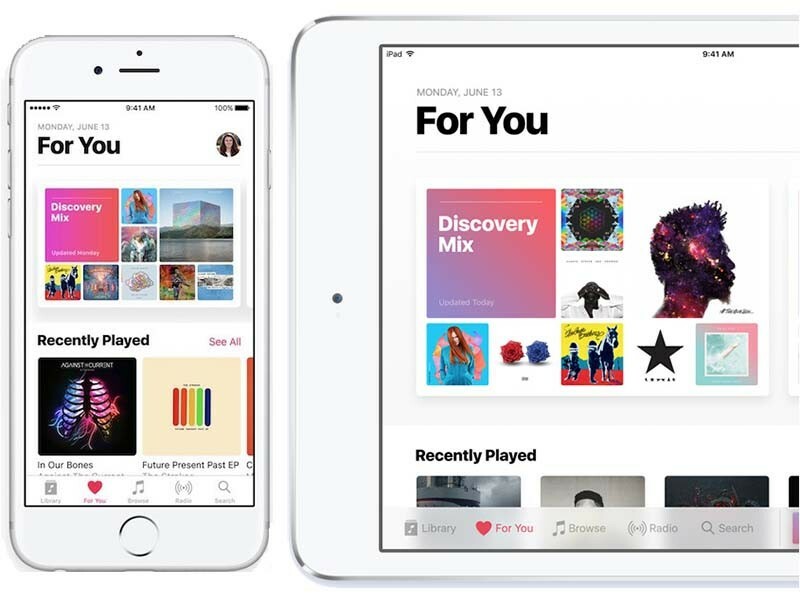 Two days after Apple Music launched in Israel, the service has launched in South Korea, the Cupertino company announced today. The launch comes over a year after the service simultaneously launched in 110 countries. Apple Music's standard 3-month free trial is also available to Korean users. After the trial, users can sign up for either $7.99 a month individual plans or $11.99 a month family plans. The pricing puts it in line with popular Korean music streaming service MelOn. In June, it was reported that Apple was preparing to launch Apple Music in Korea, with an official from the music copyright association confirming that contract negotiations with Apple had been completed. Previously, Apple had a difficult time navigating the strict copyright laws in the country and agreeing to deals with various rights groups during past attempts to introduce its streaming service within Korea. Apple Music is currently available in over 100 countries from Africa, the Middle East, Asia, Europe, North and South America and more. Apple Music has united north and South Korea ??? Wow!! [doublepost=1470360166][/doublepost]Okay , just saw the tweet. Someone at Apple needs to learn basic geography/history , the flag they posted on the tweet is South Korea, as expected. Apple Music has not launched in korea which remains divided since 1945. MR might want to correct this . Kim Jong-Un is going to be rocking out to some sweet, sweet music now . . . I absolutely LOVE North Korea! Nice move, Apple!! I envy that man. He be rockin' to Lady Gaga, while munching on very expensive swiss cheese. No...he's serious MR, and so am I. Which Korea? Not playing around. Which one?.. Two days after Apple Music launched ('https://www.macrumors.com/2016/08/03/apple-music-streaming-service-launches-in-israel/') in Israel, the service has launched in Korea, the Cupertino company announced ('https://twitter.com/AppleMusic/status/761335931739734017') today. The launch comes over a year after the service simultaneously launched in 110 countries. Apple Music's standard 3-month free trial is also available to Korean users. After the trial, users can sign up for either $7.99 a month individual plans or $11.99 a month family plans. The pricing puts it in line with popular Korean music streaming service MelOn ('http://www.melon.com'). In June, it was reported ('https://www.macrumors.com/2016/06/23/apple-music-launch-in-korea/') that Apple was preparing to launch Apple Music in Korea, with an official from the music copyright association confirming that contract negotiations with Apple had been completed. Previously, Apple had a difficult time navigating the strict copyright laws in the country and agreeing to deals with various rights groups during past attempts to introduce its streaming service within Korea. Apple Music is currently available in over 100 ('http://www.apple.com/music/country-availability/') countries from Africa, the Middle East, Asia, Europe, North and South America and more. Who gives a ****? Tell me when high def music is going to be a reality! A new track from nk...'nuke it baby, one more time." -Kim Jong un spears.